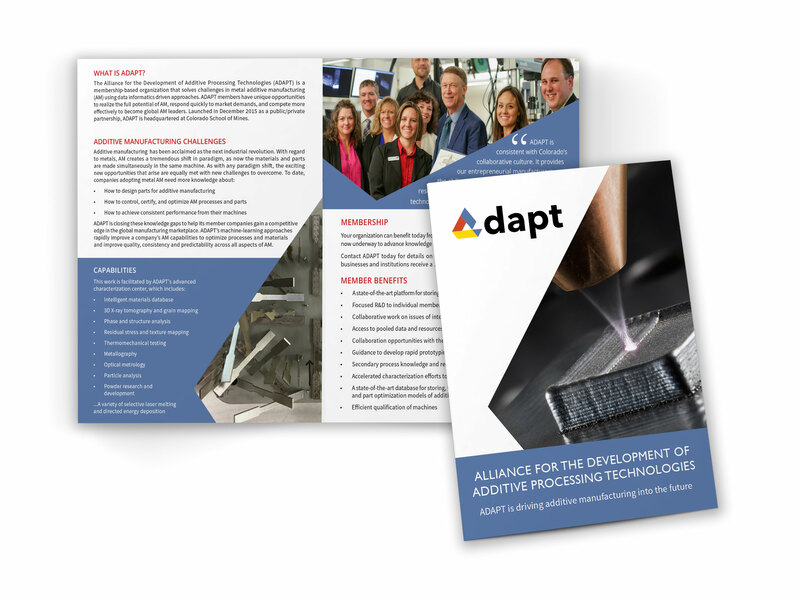 Headquartered at Colorado School of Mines, ADAPT is a public-private partnership that gathers data informatics for metal additive manufacturing. Having worked with the o2 Group through another company, one of their Board Members came to us needing help with a brochure that had to be turned around quickly for a conference. We met their deadline with a great piece based on their logo, the single portion of branding that they had already developed. Happy with the brochure, they decided it was time expand the depth and breadth of their website. Originally, the organization had a few web pages on the Colorado School of Mines website. However, the Mines template was very restrictive, giving ADAPT limited control over format and content. 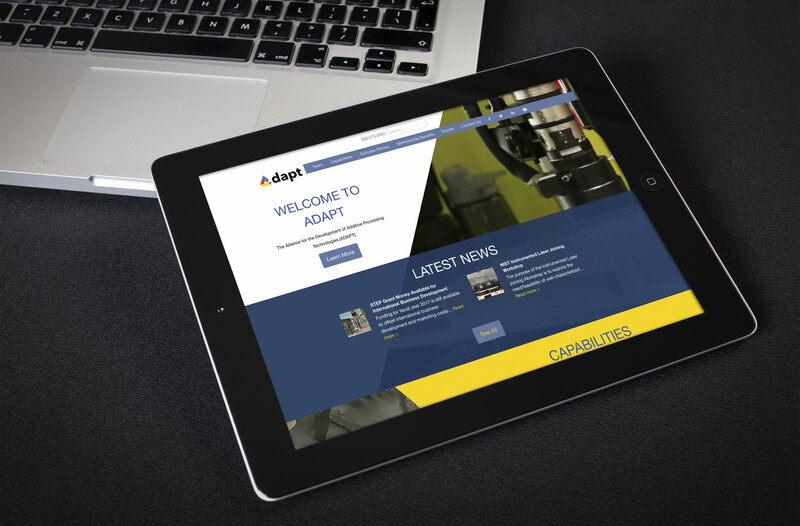 Using WordPress, we designed and developed an independent site that gave them unlimited space for content. The site keeps the content fresh by integrating news feeds onto their homepage. As a membership-driven organization, a good portion of the site is devoted to membership news, success stories, social media links, and members’ listings with logos. Together the brochure and website create a solid set of marketing collateral that is user-friendly and easy-to-maintain.